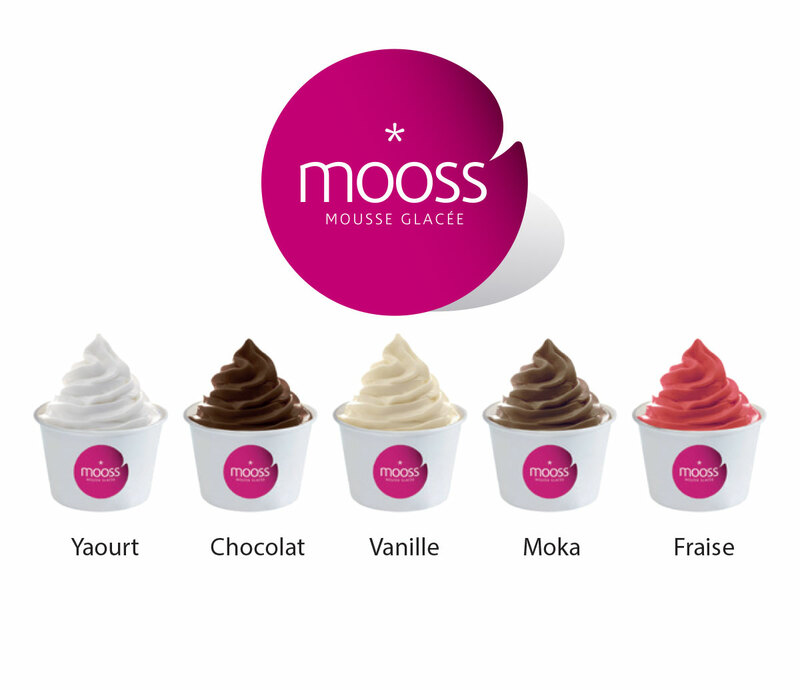 Between cream and ice cream, Mooss’O Iced Mousses satisfy demand for quality, light, smooth and cool desserts. 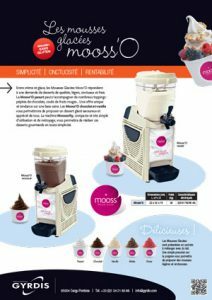 Yoghurt Mooss’O can be accompanied by many toppings: chocolate chips, red fruit coulis… A unique, on-trend and healthy offering. 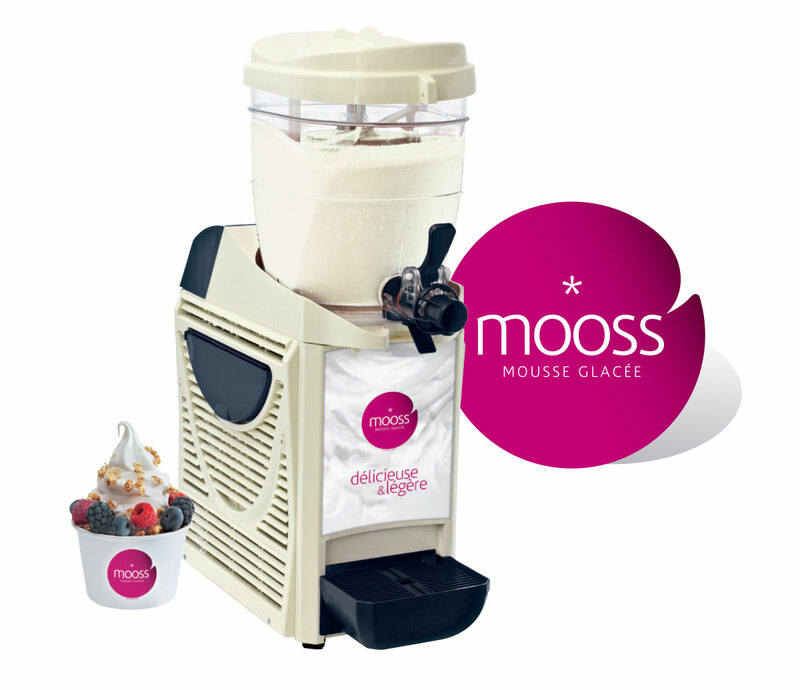 Chocolate and Vanilla Mooss’Os will let you offer a proposer un flavoursome iced dessert appreciated by everyone. 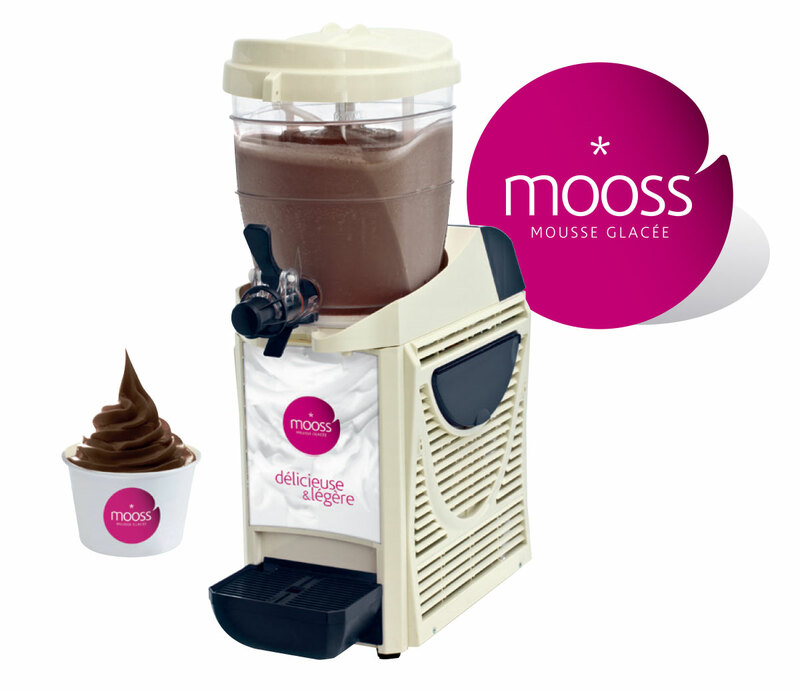 The Mooss’O machine, compact and very easy to use and clean, will enable you to make these gourmet desserts easily. Ices Mousses come in bags for mixing with milk. 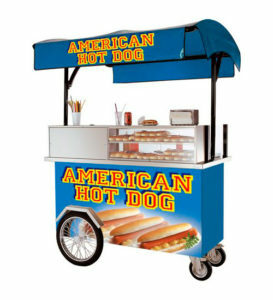 Just press the handle then offer lightweight and smooth mousses.